World bank sekali lagi meningkatkan ramalan KDNK Malaysia untuk 2018 daripada 5.2% kepada 5.4%. Ini merupakan pandangan yang sangat positif. Kita boleh baca artikel yang disiarkan oleh Jakarta Globe. Our journey for economic progress over the past eight years under Prime Minister Najib Razak has been nothing short of bold and courageous. We have pushed through with plans that ensured Malaysians could have a secure and inclusive future, amid naysayers who offer weak arguments why it should fail. As we head towards the country's 14th general elections next month, the cacophony led by an alliance of disgruntled former leaders of the United Malays National Organisation and traditional opposition is reaching a deafening crescendo. Many conflicting "truths" are seeded with the aim to confuse. I want to focus on facts that are often sidelined. Efforts by the Barisan Nasional government to drive the economy tell a compelling story. It is a fact that the World Bank again raised Malaysia's gross domestic product growth forecast for 2018 to 5.4 percent, from 5.2 percent on strong private-sector spending and private consumption. This has been the fourth upward revision in a row by the World Bank since April 2017. The International Monetary Fund is confident Malaysia's economy will grow between 5 percent and 5.5 percent in 2018, stating that the country is now more resilient than it has been in recent years. 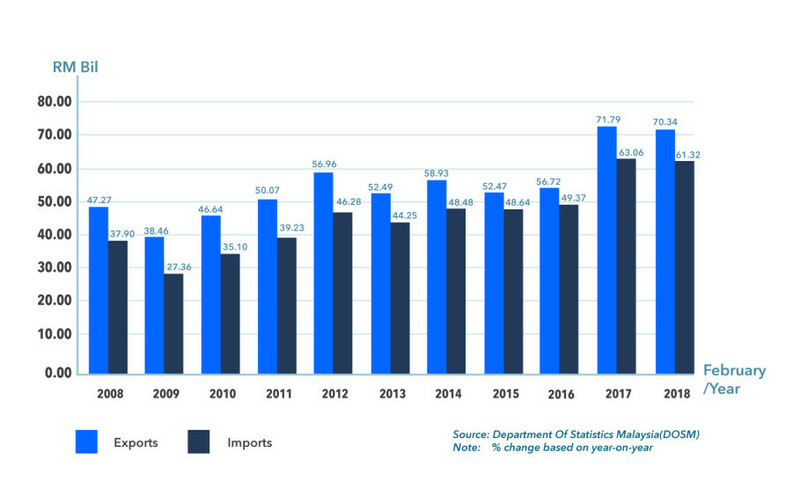 Our strong economic performance is due to continued expansion in domestic demand, as well as strengthening exports, made possible by a focused strategy Najib put in place when he became prime minister in 2009. It is also a fact that the economy then was suffering, absorbing the full impact of the 2008 global financial crisis. Exports fell to their lowest level since 2001, with inflated budget deficits due to fuel subsidies and national infrastructure projects. Najib pushed for a rebalancing strategy that encouraged domestic spending on the back of government monetary and fiscal stimulus programs, which led the way to recovery. According to the Malaysian Institute of Economic Research, economic growth under Najib's stewardship was 7.2 percent in 2010. We successfully rebounded from a bleak 2009, expanding 10.1 percent year-on-year in the first quarter of 2010 – the fastest pace in a decade. 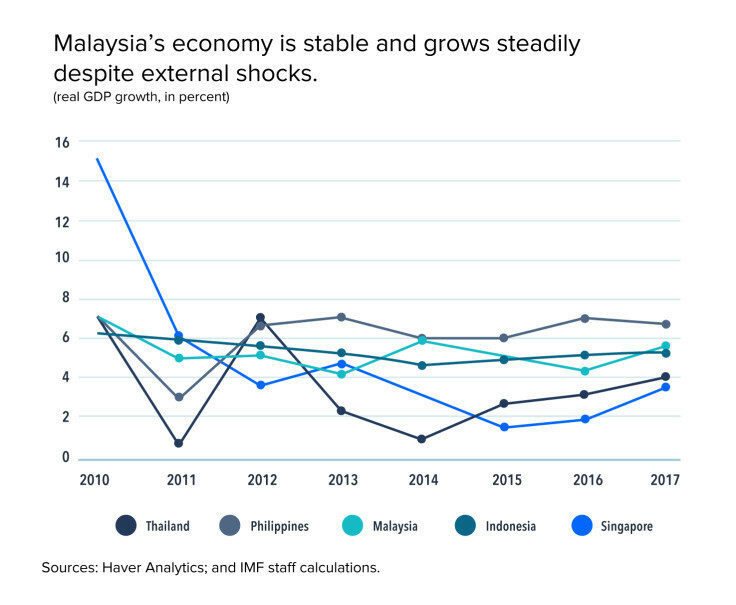 Measures the government took at the time were a great boost of confidence for investors, and a far cry from the draconian and isolationist capital controls imposed by former Prime Minister Mahathir Mohammad during the 1998 Asian financial crisis. Those measures resulted in a loss of confidence by investors, who stayed on the sidelines for a long time. Unwinding Mahathir's protectionist policies and failed privatization initiatives has required gumption and steely determination. Najib has had to be bold in his macroeconomic policies by abolishing wasteful government subsidies and instead implementing targeted cash, fuel, medical and essential food subsidies for the deserving segment of the population. Malaysia also finally implemented the long-delayed goods and services tax, which was absolutely necessary for fiscal management and development. Under the Economic Transformation Programme and the New Economic Model, policies were introduced to increase productivity and address competitive challenges and critical skills deficits. Such policies have been designed to drive real income gains for lower-income families (B40) in our effort to transform into a high-income, developed economy. International rating agencies, including Moody's, Standard & Poor's and Fitch Ratings, have maintained Malaysia's stable outlook with a credit rating of "A" and generally positive on our growth momentum. We are resolute in developing the identified strategic growth projects. These include people-centric transportation infrastructure projects, such as the Pan-Borneo Highway, East Coast Rail Link in Peninsular Malaysia, new mass rapid transit lines in Kuala Lumpur, and the high-speed rail link between the Malaysian capital and Singapore. We recognize the need to reduce the budget deficit, but this needs to be tempered carefully to balance operational expenditure with investments for long-term sustainable growth. National debt currently stands at 684 billion ringgit ($174 billion), which is 51 percent of GDP. Ninety-seven percent of the debt is in ringgit, while only 27 percent of the total is held by foreign entities. The government is very confident of its ability to service the national debt as its debt-to-service ratio has been greatly reduced since the 1980s, and well below the threshold of 15 percent. Today, we have built a positive and sustainable economic trajectory, making Malaysia one of the stronger markets in Asia and an attractive destination for investment. Saudi Aramco recently inked a $7 billion agreement with state-owned energy company Petronas to invest in a refinery project in Malaysia – its largest investment outside Saudi Arabia. Abu Dhabi's Mubadala Petroleum also recently finalized a $1 billion investment in its first Malaysian gas project alongside Petronas Carigali and Sarawak Shell. Additionally, China's Belt and Road Initiative will provide opportunities to access new markets, diversify local products and services and attract greater foreign direct investment. How we manage our economic growth moving forward will be the main focus once the general elections are over. In my opinion, political stability and continuity in policies are key determinants to sustaining our acclaimed economic development. History has shown that Malaysia is resilient to the challenges thrown at us. We now need to focus on managing the future by continuing to be bold and courageous in the face of our detractors.